Nutgrass ( Cyperus rotundus, CYPERACEAE ). 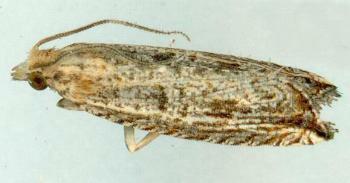 The adult moths have grey forewings that have complex brown markings. 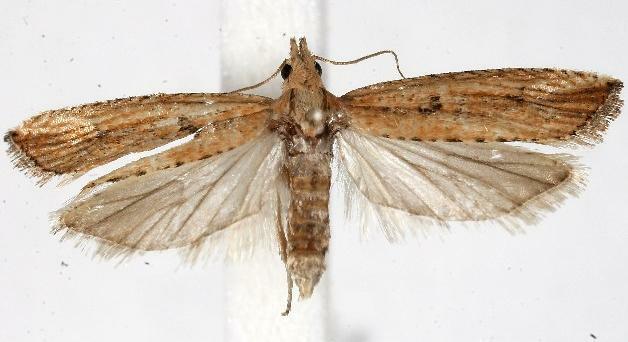 The hindwings are plain grey. The wingspan is about 1.5 cms. 1973, Brill (Leiden). p. 357. CSIRO Publishing, 2006, pp. 207-211. Volume 12 (1847), pp. 738-739, No. 301.